As the saying goes, experience is the best teacher and nothing prepares you for the unknown as much as the NYSC does. I remember the day i got my Call up letter like it was yesterday. We had all gathered in front of the faculty officers office awaiting our turns to get called in for our Posting letters. Many people came out of the office rejoicing and this gave me a little bit of hope but boy was i wrong. I knew i wasn't going to get what i expected when i noticed the countenance of the officer as he handed the letter to me. I lived in West, schooled in the east, lived partly in the south but never had i ventured to the northern territory. As I stared down at my call up letter with the bold words written on it 'A State in the North', I couldn't help but let the flow of mixed feelings come through. At first i was dazed, then slowly the reality of my situation began to creep in. I could feel my heart shredding into several pieces with every beat. This was probably due to the negative stories and pictures I had heard and seen in the media. While others were rejoicing about their states of deployment, I simply walked to a corner to let hot tears that had welled up in my eyes fall freely. At that moment, Google became my best friend and the Nigerian Map became my Companion. Who knew the Northern Province occupied about ¾ times the size of Nigeria? Before then, i didn’t….lol!. Since desperate times requires desperate measures, lots of things went through my mind with the first being how to change my state of deployment but since i wasn't married, Heavily pregnant or sick & living with a serious health condition, my hopes of changing my state of deployment flew out the window, my fate had been sealed. The next day, I went shopping for the few items needed for camp such as; Milk, Chocolate beverage, biscuits and also extra clothing & accessories (you’d be given uniforms in camp but this is just a preliminary measure just in case the ones given in camp don't fit) i.e extra tennis shoe, white socks, white shorts, white round necked shirts. As a foodie, I didn't forget to take my small food flask, Cup and Cutlery (knives were not allowed). Just to mention, these things are sold at the "Mami market" on camp but at a more expensive rate. If you attended a boarding school in Nigeria, just picture the necessary things you needed back then and you’d get the true picture. For the girls, please leave your expensive Brazilian, Peruvian et Moroccan weaves at home. If you ask me, I’d say braids is the most suitable hairstyle for anyone going to camp. This is because it’s stress free and can be styled easily especially during rush hours (There’d be plenty of ‘em). Since i didn't get this little information on time, I went with a weave and therefore had to learn firsthand what sweaty weave-on does to the wearer in hot weather (trust me when I say it’s something you’d like to avoid). It's also best to leave your expensive gadgets at home. You could take along with you anything you won't be bothered about if lost. The flight from Lagos to Kano took about 1hr45mins. The first thing i noticed about the north was its large size with states several times larger than most states in other parts of Nigeria. 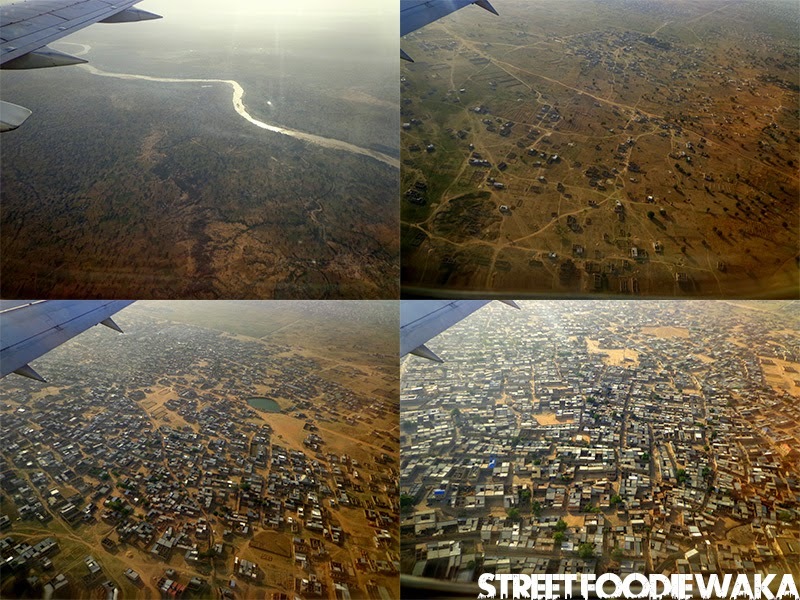 During the flight, i saw the brick houses being replaced by mud houses and farm lands with crops and cattle. The farm lands went on and on for the most part of the journey. I arrived early in the morning with some other clueless corpers like myself going to different parts of the north. Luckily, I found about 3 people going my way so we all boarded a van to the next state where the camp site was located. At the gate of the camp, we were screened thoroughly especially our credentials. Majority of my belongings that were seen as contraband was confiscated and after hours of registration i was finally allowed into the main camp site. I must confess, I fell in love with the camp site immediately I got in. It was such a beautiful and organized environment compared to other camps I had seen around the country. At the hostel, i registered, collected my Uniforms, hand book, mattress and picked a bunk before heading to the dormitory. 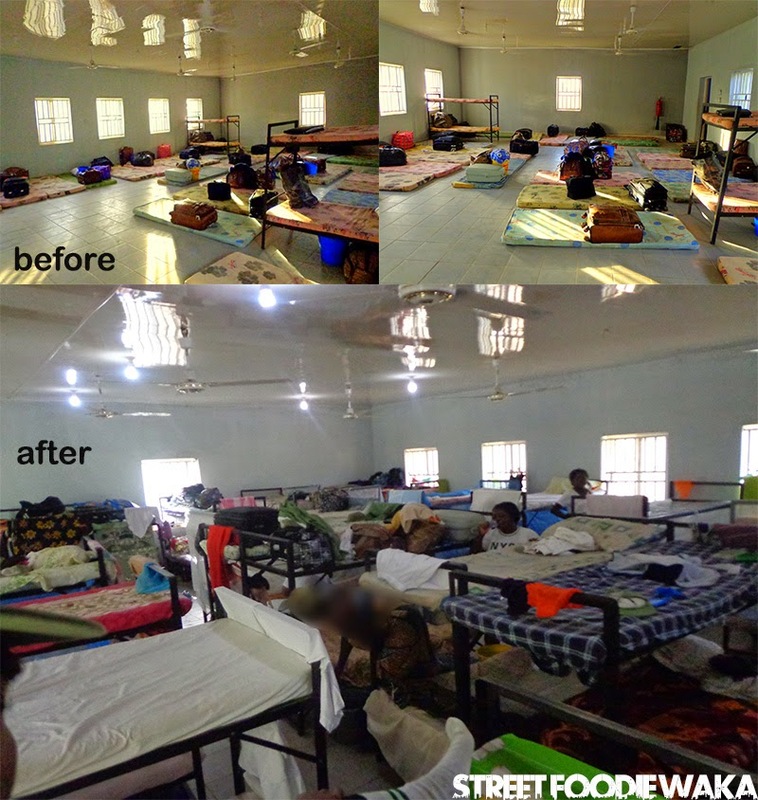 The dormitory was a large room which I had to share with about 65 other girls…..talk about communal living. The good thing was, everything there was new including the 7 toilets, water heaters and 7 bathrooms……hehehehehe!!!! Nice innit :D. This simply meant that there was no need to "shot put" (errrmmm, you know what i mean :| ). There was also a standby generating set which powered the whole camp non-stop throughout the stay...it was really nice. Three square meals were served at different times of the day. 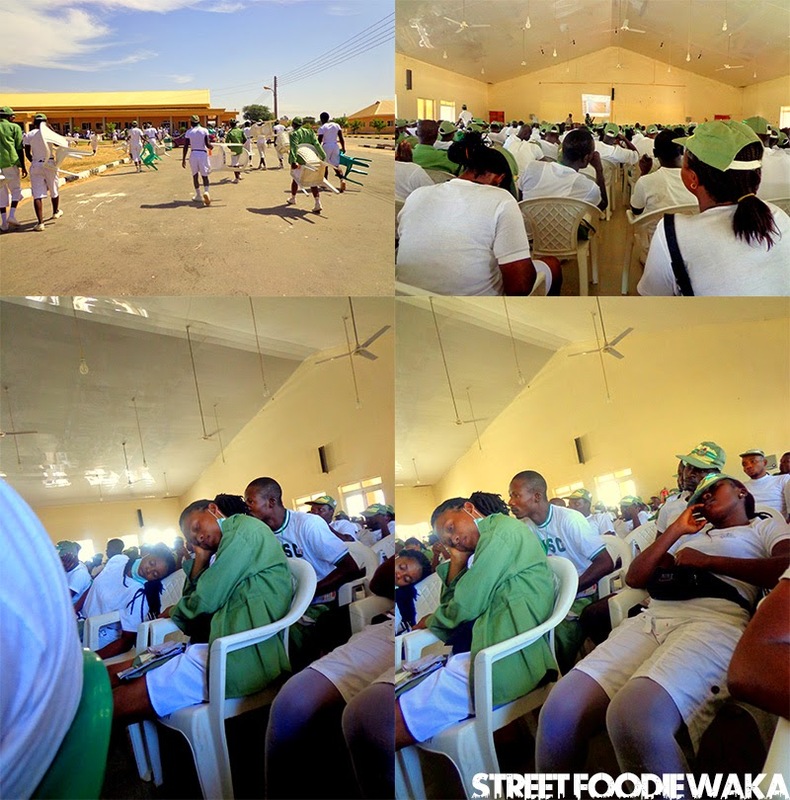 I enjoyed the meals at the beginning but when corpers took over from the staff a week after my interest in the kitchen meals waned because most of the time, the meals served either had little or no salt/pepper in them or were under cooked which made it tasteless. 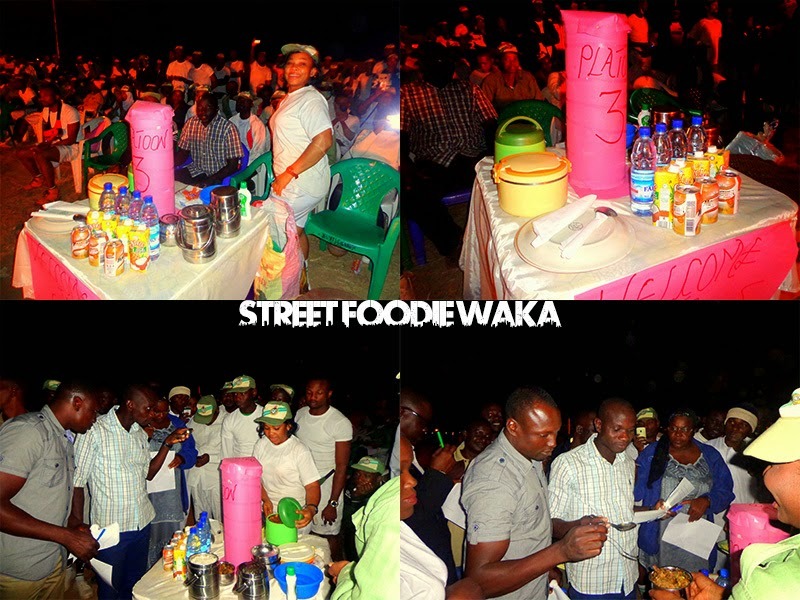 I wasn't bothered about food so much due to the other side attraction……..The mami market :D!!!. There, I got whatever food, drinks, provisions I needed throughout my stay. Though things sold at the mami market were slightly expensive, it was still worth it. The bottom line is, always have a plan B just in case the camp food doesn't go down well with you and in this case the plan B is MONEY!!! Lots of it :D which should be kept in your pouch at all times cos there are no Atms within the camp but there are usually lots of skilled pick pockets there. At the mami market, you'd get everything you need; Fruits, provisions, entertainment including people who'd do your laundry for a fee. 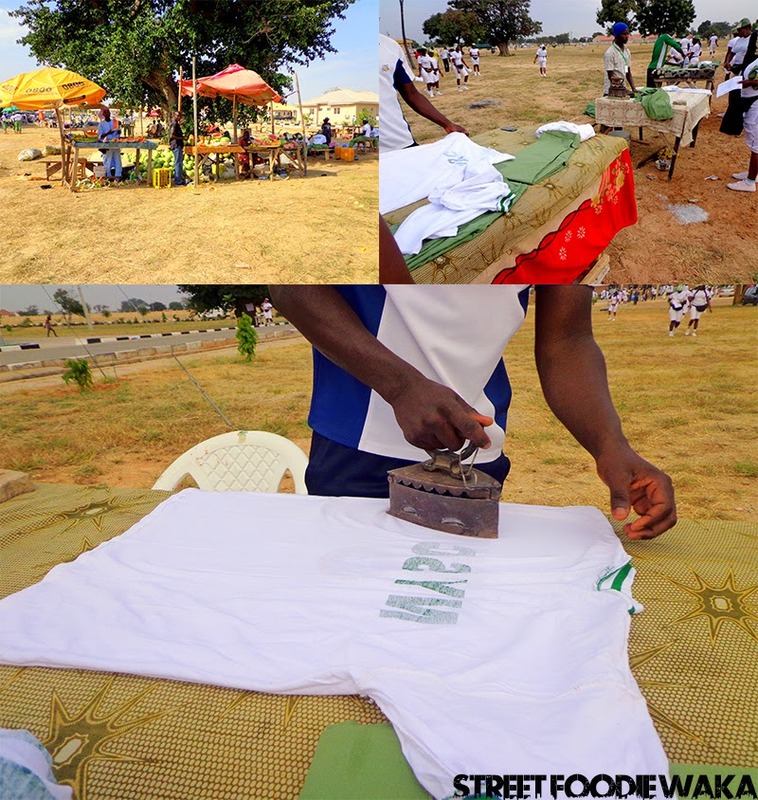 Life in the NYSC Boot Camp as i call it is regimented. There's a time for everything except on sundays. It is also the best place to lose weight so if you love your sleep and stress free living, drop the baggage at home before camp cos you’re “Gerrin Nada”. Wake up time in camp is between 3- 4am and if by 5am you are not out of the dorm at the sound of the "Beagle", you’d definitely get a rude awakening by the soldiers who don’t waste time in dishing out punishments i.e Frog jumps. The Morning and afternoon drills are compulsory exercises which you’d have to go through in the scorching hot sun, freezing cold and in the rain. There’s no way on earth you’d leave the camp after these drills and still look the same as weight loss is unavoidable in camp so, be prepared. Most times due to the cold and dust, we even had to wear nose masks. After the morning drills comes the Interesting CDS lectures where you’d get free lectures and tutorials on basic skills such as Brick laying, Hair dressing, Dress making, Catering e.t.c. It's always advisable to choose your CDS group wisely because it goes in just two ways; Interesting or Extremely boring. The bonfire night is the peak of all the camp activities. There’d be lots of food, fun and activities which include; Fashion parades, Miss NYSC, Mr macho, Mr ugly, food competitions e.t.c. 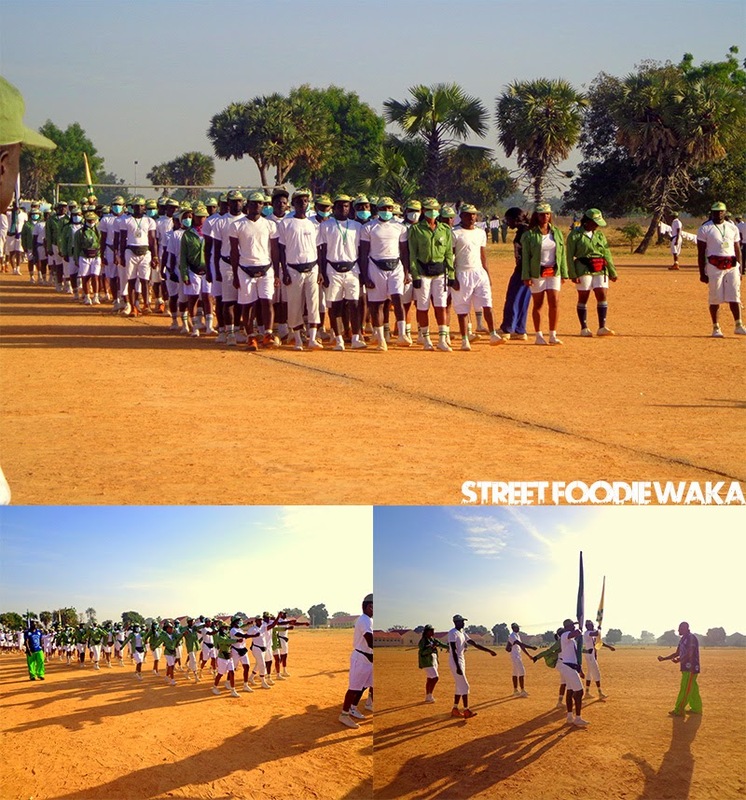 For the food competition, my platoon prepared different dishes such as Jollof rice, fried rice & different Nigerian soups. We came second though which was fair enough. 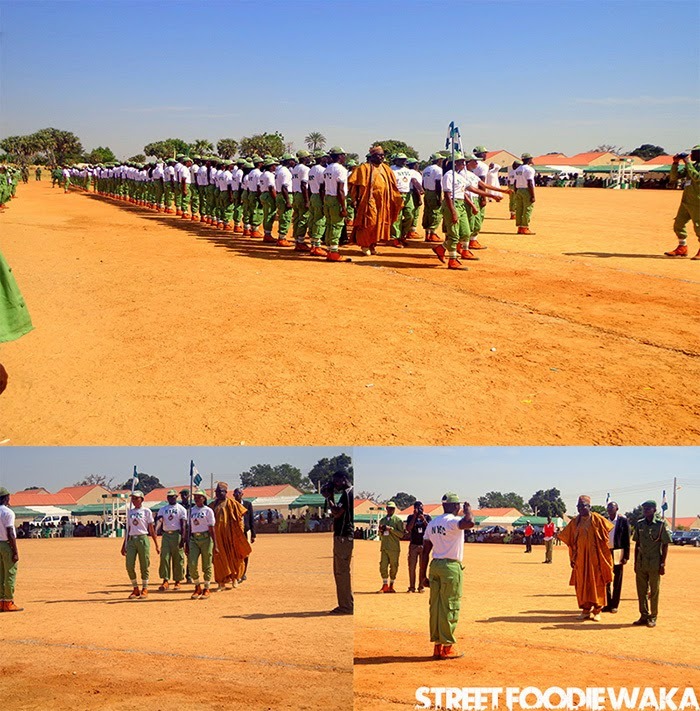 The passing out Parade is where you'd get to display all you've learnt during your camp stay in front of the state Governor and Other important personalities in the state. For me, i chose to be a spectator instead. Kano camp ground is beautiful. Congrats madam, see you had a beautiful experience. I love you dobby, thanks for this funny insight but I just can't get passed "mr ugly"
Wow, I can't believe any camp in Nigeria looks like this. Its a faaaaar cry from my camp experience with the non existent toilets, lack of fans, missing windows and having to receive cds lectures in the open.. kudos to whoever is responsible for the upgrade. Welcome back. @ Dobby my own faculty officer exclaimed wen she saw my callup letter! "HA!!! SOKOTO!!! HA" I lived and skooled in d south south all my life. I cried tru out that night eh! Oh wow dis a veeeeryy faaaaaaarrrrrr cry from what I experienced in sokoto camp. @ anon 5:16 pm sure we didn't serve in d same camp? Lol. Lol! I had lots of friends that were posted to sokoto, they came back looking extremely tanned with tales of how hot the sun over there was. 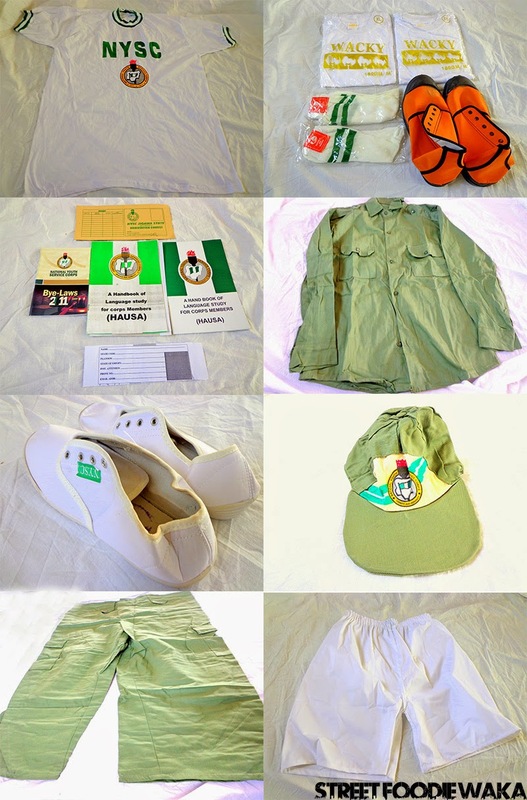 I guess we were actually lucky because the camp was still the newest in Nigeria back then. CONGRTS DOREEN FOR ALL THE FUN. I SERVED IN ZAMFARA ABOUT TEN YEARS AGO ,IT WAS ALL FUN ESPECIALLY FOR THE NCCF THAT I JOINED AND I WAS PART OF THEIR DRAMA GROUP. ALSO I WAS GIVEN 2 ROOMS APARTMENT ALL TO MYSELF AND I WAS BEING GIVEN FOOD STUFF AT THE END OF EVRY MONTH. Your own better na! After paying 30k as bribe to one nonsense boy in my school i saw yobe on my call up letter, i fainted right there. Waohhhh This really brings back memories of about 6 years ago in Sokoto Camp! 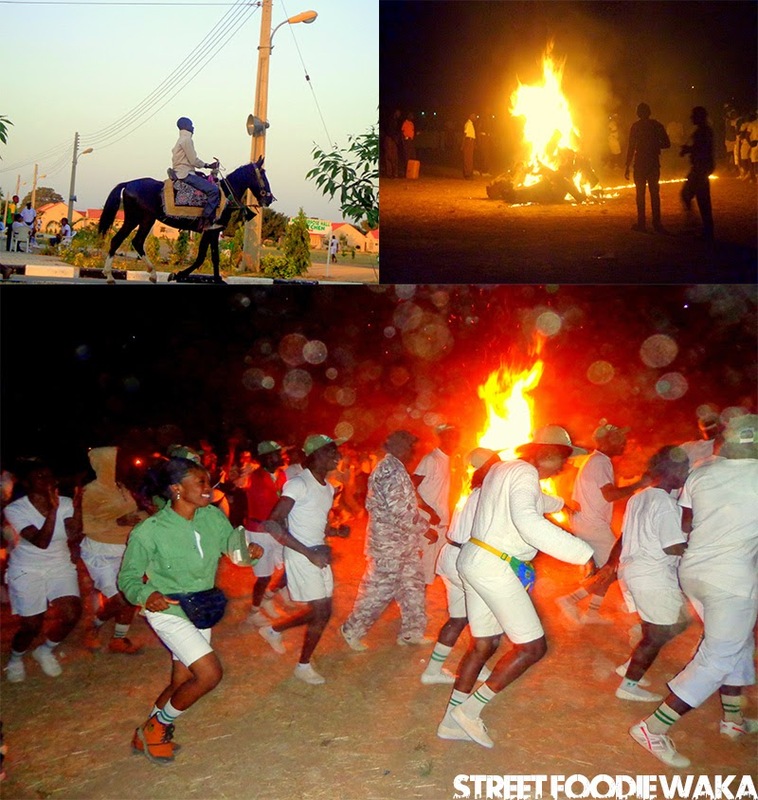 Chai you people enjoyed ohhh lol.. Camp was a far cry from such comfort you enjoyed..so are you back to Lag now?? Please stay safe dear just in case you are still in the North.. Looking at the pictures bring back memories. I did not serve in the north but my camp was not this nice. @Dobby, I'm a witness to losing weight in camp. I weighed 80kg before camp and weighed 65kg after camp. Wow! 65kg?? that's a huge one. Weight-loss on camp could either be a "Yay!" or "Nay" for most people though. My friend lost 20kg and she was so excited about the weight-loss. Camp was at Bauchi state, me I chop am for suya wellu wellu o! Lmaoo..
Really lovely reading your experience. Am uber blown away at the freshness of your camp man! 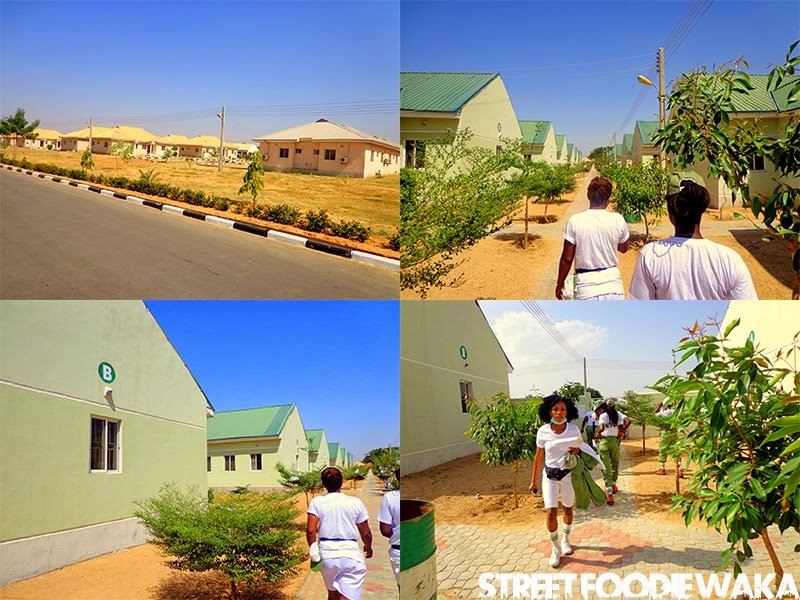 Well dobby,dt nysc camp is jigawa state.I have camped der bfor though not Nysc.its neat and clean. Finally!!! Someone gets the camp site right :D. So true, Jigawa state is where the camp site is located. THAT'S Jigawa?!!!!!!!!!!! Oh wow! When i served in Jigawa..... when I served in JG ehn! Chai! Let me not even go into details of the camp. No light, local pump for water, no windows or doors.... FOR 3 GADDEM WEEKS!!!!! LOL. Na die! Glad to see this! Looks amazing! Hey Dobby, what year did you go for service? This is really for me.. I've got camp in a month from now... Having mixed feelings about being away from my comfort zone. I'll be down to a size zero seeing I'm actually a 6 NW.. Thanks for sharing. Nice...cant wait to go for service next batch. an individual provide to your visitors? Is gonna be back ceaselessly to check out new posts.